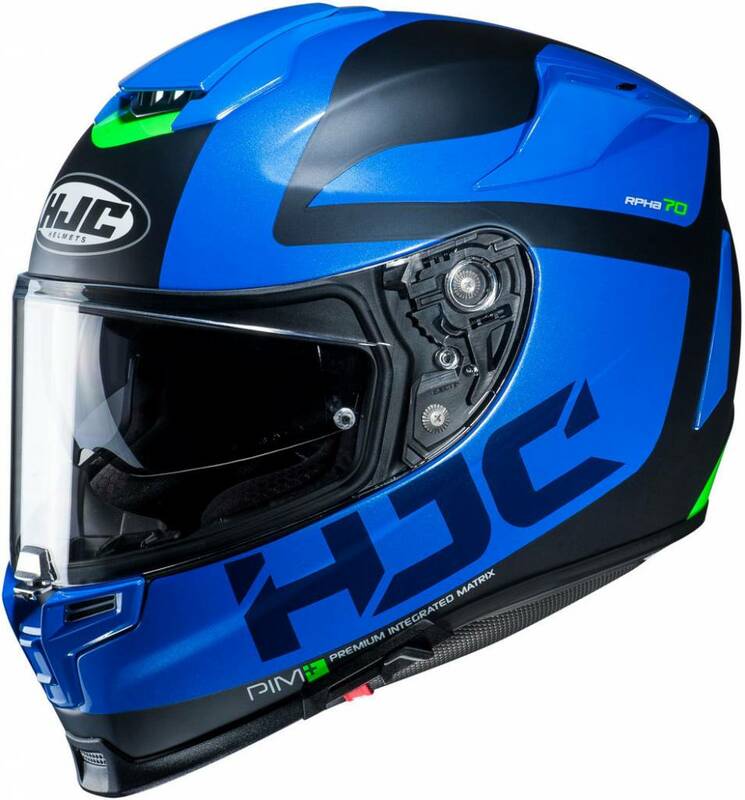 The HJC RPHA 70 is a mid of the range, sport touring helmet which under promises and over delivers in all the good ways. It is an improved version of the HJC RPHA ST and it comes in at $400 USD RRP for a standard colour. Before we jump into our review, make sure that you check out our Live Store. You can find that on our Facebook page and it is your chance to talk with me, live, and we have great discounts plus our Champion wheel where you can win Champion Cash. You can learn more at ChampionHelmets.com/Livestore for more info on the Live Store. Now to start off the review, we are starting at the shell and the shell material. The material is HJC’s PIM Plus or premium integrated matrix. This is a shell made out of a combination of fiberglass and carbon fiber. So it is pretty strong but also very light. Despite the strong shell material, it only scored 3/5 stars in the Sharp safety rating test. So it scored quite badly on the side impact tests and this is a disappointment. I really would have expected better results for a mid-range helmet with this material. The shell is available in 3 different sizes though which is a positive for the RPHA 70. For weight, this size M RPHA 70 came in at a respectable 1470 grams which is pretty well similar to what HJC have advertised for the helmet. The visor is pretty decent on the RPHA as well. It is prepared for an anti-fog pinlock lens and that is provided with the helmet in the box. The visor comes off pretty easily as well. It has a rapid fire mechanism which is appropriate because it looks like it has a trigger. The mechanism itself is fairly decent and gives a good seal against the shell of the helmet. It has an internal sunvisor and that visor is controlled with a slider on the side of the helmet. The sun visor is also anti scratch and anti-fog treated so it should stay pretty clear, while keeping the sun out of your eyes. When it comes to the RPHA’s ventilation, well it is actually pretty interesting. First of all, you get plenty of options. We will however, start at the chin. At the very bottom there is a perforated vent and this can be opened and closed via a switch on the inside. It brings air into the helmet directly via that vent as well. Then there are 2 vents which bring air onto the visor to demist it and these you can open and close with an external visor. Up top, the main scoop is special. That is because it works as an inlet and an outlet vent. So you can open this up and at the same time that you are getting that fresh air, the hot air will escape out the back as well. Then we have these side vents which let more air into the back part of the helmet. They open with these little switches and function as spoilers as well. Finally, at the very back there are 2 vents which are always open and pull all that air out the back of the helmet. To the liner now and it has some pretty standard features. It is removable, washable, antibacterial and it is called Multicool. So it is a cool liner that dries quickly and is moisture wicking. There is an emergency quick release for the cheek pads and on top of that, we have some reflectors for extra visibility. We also have a liner which is prepared for people that wear glasses and the helmet itself will fit riders with a more long oval head shape. On the head liner that there are a few holes for ventilation but it also built up in layers. This is good for some extra comfort but also for giving more ventilation and space for air to flow. In the EPS foam you can see the ventilation channels and while we have quite a few, they aren’t very deep. This is where that liner comes in and adds to the depth of the channels. You can see how the air is directed to the ventilation holes and eventually, where it escapes at the bottom. We also have speaker cut outs with these foam inserts that you can pull out but when they are in, they offer some noise isolation as well. As always guys, we have put this helmet through our dreaded beep test where we blast it with noise and see exactly how many decibels of noise are blocked by the shell and the liner. We have a new repeatable test coming out soon as well to show exactly how the helmet does for wind noise, so keep an eye out for that. It scored 24 against a control of 17. So that means it blocked out 7 decibels of noise. This was a very good result for the RPHA 70 and places it as a quiet helmet in our beep test. For wind noise it is pretty strong as well and we didn’t have anything negative to say about it there. Guys, this is a HJC helmet so of course we need to talk about the designs. HJC have managed to get a deal with the people at Disney and Marvel so you can pick up some pretty cool designs. There is the Black Panther, from the Marvel film but you can also get the Wolverine and more like that. So this is something that really adds value to the HJC and if you want to stand out, they have some pretty awesome designs out there. 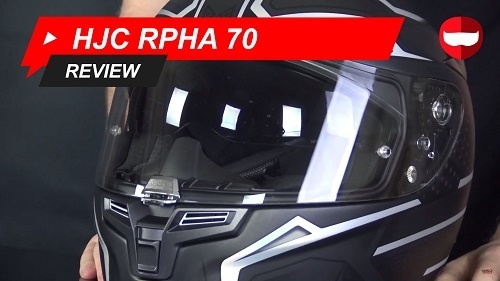 So this has been our review of the HJC RPHA 70. 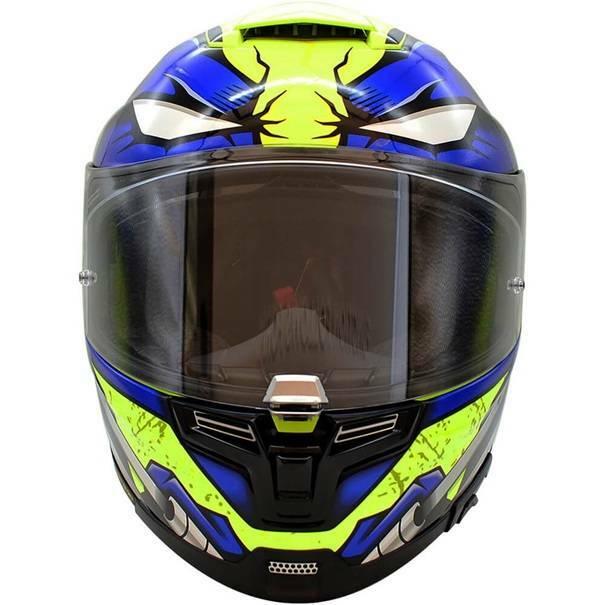 This mid-range, full face, sport touring helmet has plenty to offer and brings a lot of quality to the table. 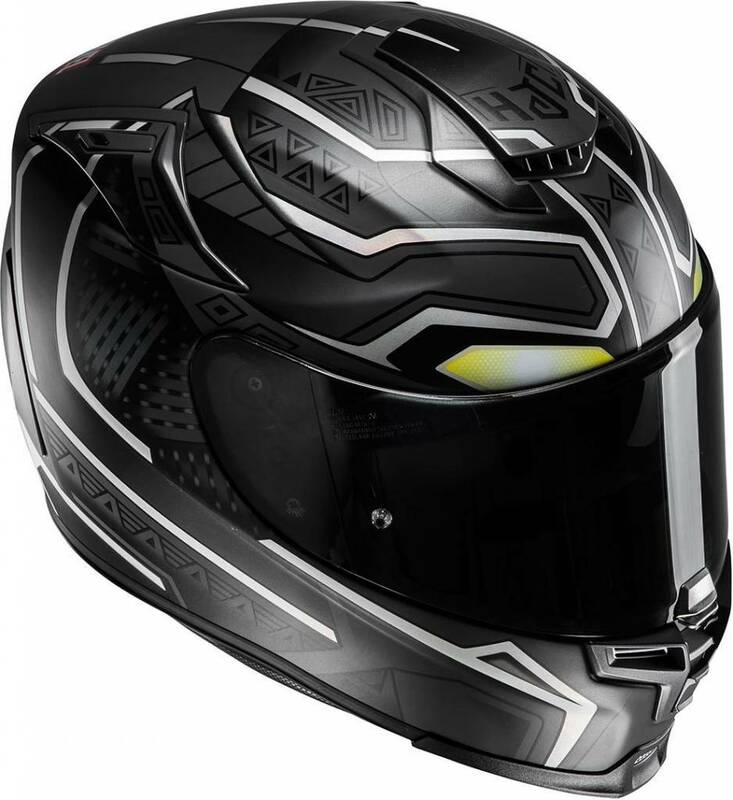 So if you guys want to learn more about this helmet, its competitors or anything motorcycle gear related, make sure that you subscribe to Champion Helmets on YouTube and we’ll keep you up to date. Thanks for reading!